Personally, I've always tried to avoid Borough market. Don't get me wrong, there is no doubt that it is packed full of many great things, but you only need to glance at the queue flowing down the street at Monmouth to see everything that is wrong about Borough market. Yes the coffee is good there, but is it worth waiting waiting over thirty minutes to satisfy your caffeine kick. Is it worth fighting past the throngs of people to just get to the end of the queue. Are you actually satisfied with your cup of coffee once you have have got it in your hands? To summarise, I hate queues, I hate large crowds and I hate working hard to get something I can get more easily elsewhere. 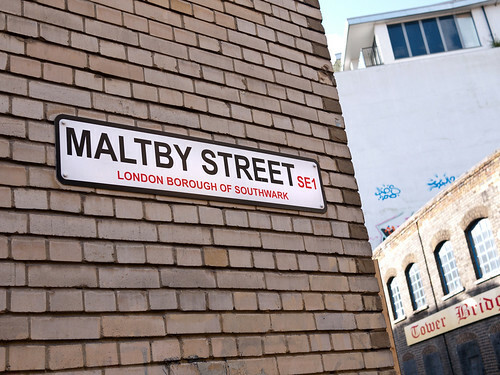 Maltby street market is a short hop away from Borough and is everything that Borough isn't. There are fewer stalls, less people, and is far more sparse, but for me, is a much better Saturday option. You still get the same spread of stalls and you can buy a huge amount great produce too. With Monmouth and Neals Yard based in the Maltby Street arches, you're not going to be deprived of your cheese or coffee needs, and the queues here are far more amenable. Alongside these two London food goliaths are a few other well known names. St John bakery is actually also based out of these arches, and you can get their full range of loaves and cakes, and if you get there a little earlier, you can get your lips around a famous St John custard donut. Get there before 12 if you don't want to be disappointed as these unsurprisingly sell like hot cakes (as opposed to the actual hotcakes, which are also just as good). Next door you have Beas of Bloomsbury and her wonderful cakes, as well as Rachel of Catalan Cooking making her cod doughnuts and a variety of Austrian delights, from goulash to cured meats. 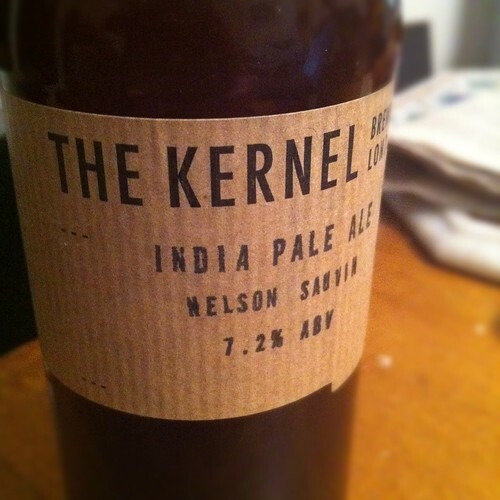 Dotted around, you will find an arch stacked to the brim with vegetables, the guys behind Kernel brewery (who are also based somewhere in the arches), as well as an expert butcher supplying top quality meats (check out @naththebutcher). Round this off with a few more cheese and meat stalls and what you have is an hour or so of enjoyable perusing, where you will more often than not return home with an excellent haul. 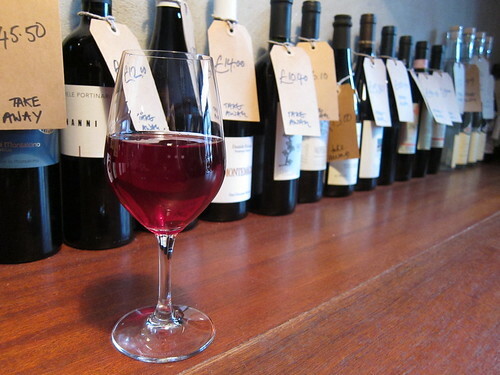 Once you're done getting you're weekly shop out of the way, head on down to 40 Maltby street for a glass of wine. Based in the vaults of a natural wine cellar, every week they rotate their wines (one red and one white by the glass) to serve alongside a small menu. The space is small and comfortable with plenty of space to perch or eat. When I ambled along towards the end of the market (all stalls shut at 2pm), most of the dishes had sold out, but all we were looking for were a few bites to tidy us over. 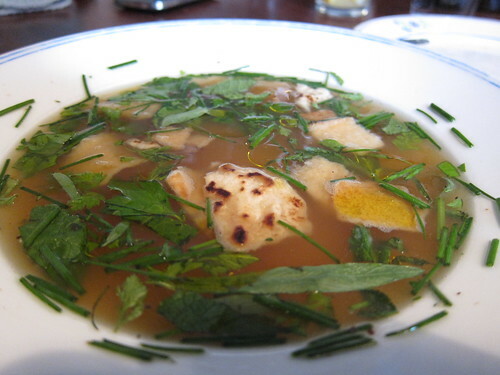 A chicken broth was packed with herbs, lacing the broth with tarragon and chervil, as well as mint and parsley. Chunks of croutons added a nice texture and the whole dish was light and refreshing. 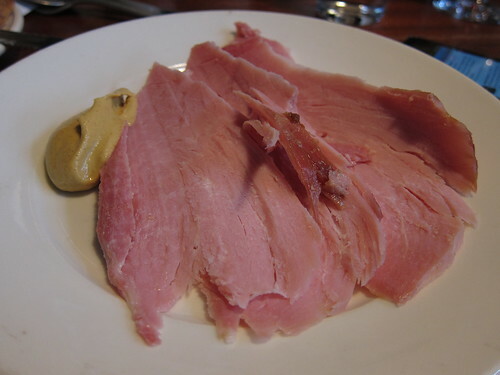 Alongside, we opted for a simple dish of boiled ham and mustard which was as delicious as it was straightforward. Heap loads of excellent butter on equally excellent bread and we had exactly what we needed to hit the spot. Maltby Street is everything which Borough Market isn't. Small and personable, without the crowds (yet) and great produce. One part of Borough I do love is the array of food stalls where you can grab handfuls of food you can walk on the go, although I am sure it is only a matter of time before Maltby St spreads and more people start to move in. I for one appreciate what it is for now, and you will be far more likely to find me ambling the arches of Maltby Street than ploughing through the crowds of Borough. Yes, that's a great summary of Maltby Street. As always, wrong end of town for me, so don't visit as much as I'd like to, but really want to go again soon for all the reasons you mention! @Kavey - Thankfully it's pretty close to me. Lovely to just stroll and get lost in. One thing that Borough Market is and Maltby St isn't (and I say this as someone who works nearby) is open during the week. I wouldn't bother to go into town to either of them on a Saturday, but I can grab some stuff from Borough on a Thursday. I still haven't made it there, despite being so close - it's too early! 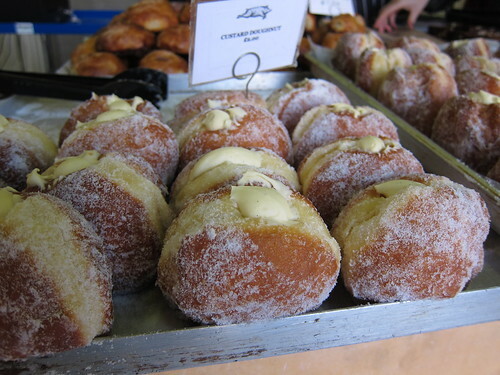 Those custard donuts look amazing. That ham looks amazing. You've convinced me. The IPA looks very tempting indeed... Plus a bit of broth for a winter's day. Very tasty!